It is a well-known fact that I am a wine lover. In fact, a trip to California Wine Country was my biggest 40th birthday wish last year. We enjoyed tasting a wide range of varietals, sampling different cuisine and taking in the gorgeous weather. 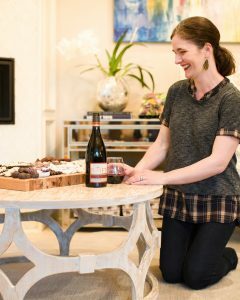 When at home, we enjoy sharing our favorite wines with friends and neighbors whenever hosting at-home. 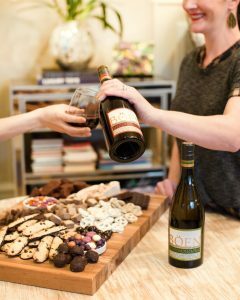 When putting together a recent girls’ night in, I had a blast putting together this massive chocolate charcuterie board to pair with two different wine varietals; Böen Pinot Noir and Böen Chardonnay. 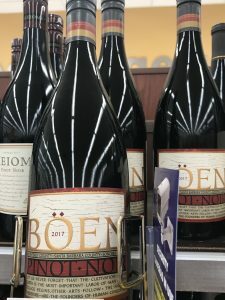 Böen offers a nuanced, layered and complex representation of the most renowned Pinot Noir and Chardonnay wine growing regions in California, bringing back memories to being in Wine Country. 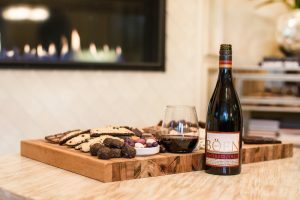 ​While sipping our wine & enjoying the chocolate charcuterie board by the fire, we jotted down notes about the flavor pairings. It was a perfect evening. Keep scrolling for a quick how-to for putting together your own chocolate charcuterie board. 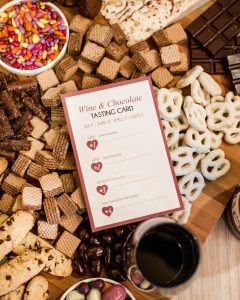 Wine and chocolate is a classic pairing! 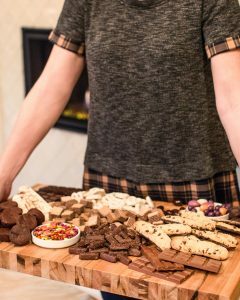 Wow your guests at the next girls’ night in with a massive chocolate charcuterie board, filled with a variety of sweet and salty goodies. 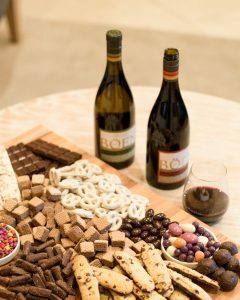 Begin the tasting with a wine that is fruitier to compliment the chocolates you are sampling. For example, begin with a fruity and crisp wine such as the Böen Chardonnay. Pair together wine with chocolates of similar style and weight. For example, pair lighter bodied wines with elegant chocolates. More bodied wines should pair with bolder chocolates. Taste from light to dark; begin with white wines and white, sweeter chocolates and move to heavier bodied red wines and dark chocolates. 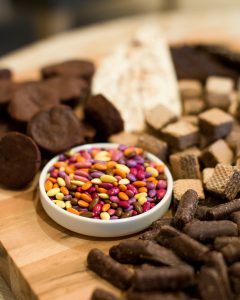 Milk chocolates will pair well with varietals such as the Böen Pinot Noir, while darker chocolates with more cocoa pair well with medium/full bodied cabernets. 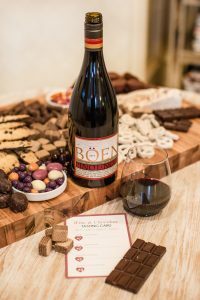 (To my surprise, the Böen Pinot Noir was actually bold enough to pair nicely with the darker chocolate options, but it’s really all about your unique palette). 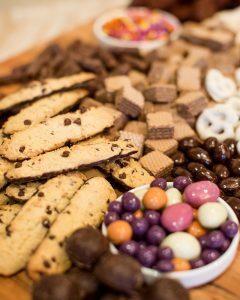 While these guidelines will help you to get started in choosing chocolates and wines to taste, keep in mind that palettes vary from person to person. The most important thing to remember is to enjoy yourself; try different pairing combinations to come up with those that you like the best. Discuss tastes with your gal pals, take notes and enjoy! You can find these and other Böen wine varietals at your local retailer to try out for yourself!! For more charcuterie board ideas, don’t miss our dark & moody design, perfect for wine pairings!